Boy Blues Bar is located inside the night bazaar on Chang Klan Road near the Ping River. This is the home of Boy, one of Chiang Mai’s premier guitar players. Why Boy Blues Bar is special ? 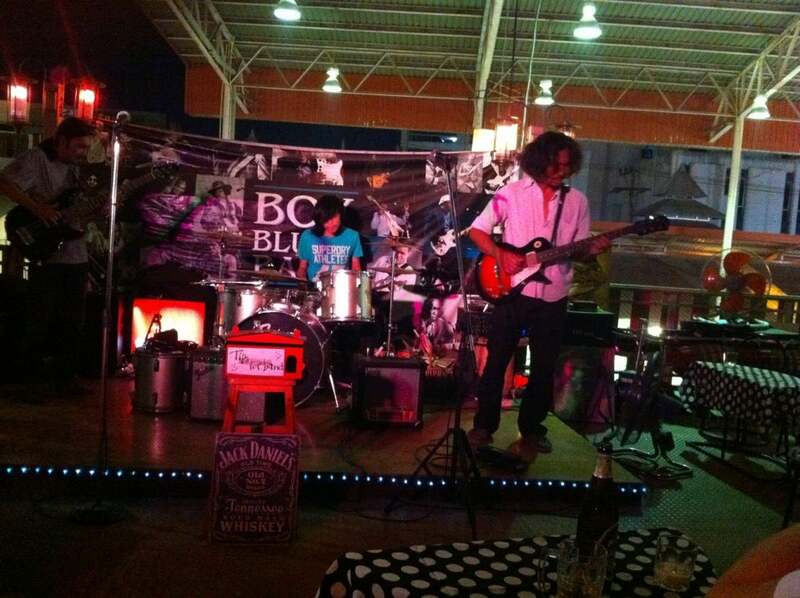 Boy Blues Bar - This open air, Thai style blues joint is a great place to enjoy live music and an easy-going atmosphere. The bar is considered one of Chiang Mai’s finest venues for live music. Home to the city’s premier guitar player ‘Boy’, the bar attracts a well-humoured crowd of expats and locals, looking to wash down a cool beer and enjoy the rhythmic blues. Nightly music is provided by the owner as well as visiting musicians. Mondays are open mic night so head over to hear a variety of performers or hop on stage to share your own musical talents. Conveniently located in the Night Market grab some food before enjoying the fresh air, decently priced beers (around100 BHT) and live music! How to get to Boy Blues Bar? Boy Blues Bar is on Soi 6 of the Night Bazaar road (Changklan Road). Look for the big "Le Spice" sign and they are a little further down on the right hand side, opposite car park for Kalare Food Court. Monday night is jam night, when local musicians add saxes, trumpets, and guest singers to the mix. If you play an instrument you'll fit in and can get up jamming. I visited this place after seeing the reviews on here, I am a singer in a band as a profession so love going to watch other musicians. Its right in the middle of the market, i was downstairs getting a manicure and pedicure for an hour listening to them before I went up to the bar! They have continuous music all night, changing the bands over at certain points of the night. Both bands i saw were amazing and talented, and it was refreshing to hear songs performed in their own style, with a mixture of music from Motown, Indie, Rock (Ben E King, The Killers, Eric Clapton etc) The vibe was great, complete mixture of people, young and old, from all parts of the world, and everyone seemed to be enjoying themselves. The waitress was very good and fast, and not pestering for tips which is my pet peeve. Great vibe, great music, not expensive, and its easy to get transport home afterwards by tuk tuk or taxi from right outside.